The SCM45A is a completely new design but shares many features with the highly-successful SCM25A. It fills a gap in ATC's product range for a mid-size three-way that can be used in near- or mid-field positions, has high output and extended low frequency for its size but without compromising the overall balance for which ATC is so well known. Brand new! from one of our customers. Never been out of the box. Super deal! The SCM45A is a completely new design but shares many features with the highly-successful SCM25A. It fills a gap in ATC's product range for a mid-size three-way that can be used in near- or mid-field positions, has high output and extended low frequency for its size but without compromising the overall balance for which ATC is so well known. Brand new! from one of our customers. Never been out of the box. Super deal! 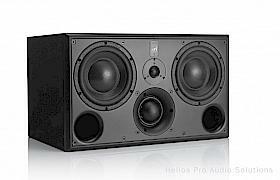 Questions about ATC SCM45A PRO Studio Monitor (Pair)? Contact us!